Our audience are women who invest in real estate who are looking for a safe community where they can offer and receive support to take their business to the next level. "Sponsorships will help spread our mission to empower women to live a financially free and balanced life." As we expand as a community, we are aligning ourselves with "like minded" companies who value long term relationships and whose products and/or services will help woman real estate investors grow their business. 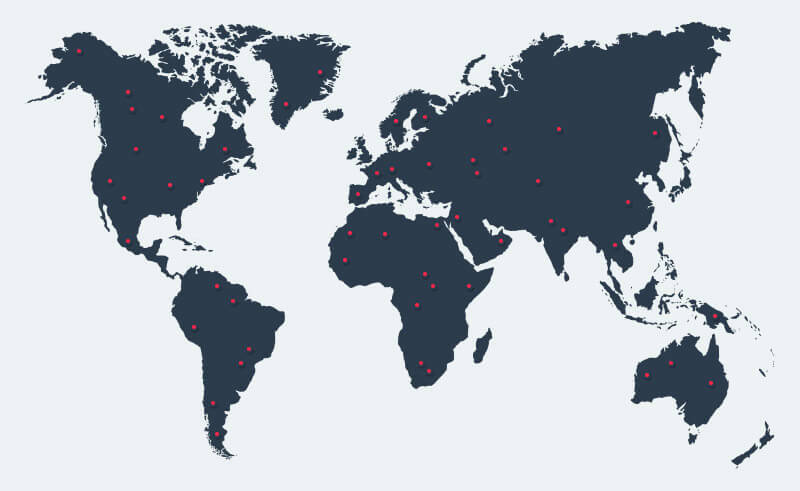 No matter where your company our clients are located, we are able to reach your them worldwide with our on line presence. Our podcast is now in 137 countries around the world in 2018 and as we grow our InvestHER online community, monthly meetups, workshops and conferences, our audience continues to rise and so your exposure. Our Podcast has reached 137 countries from United Kingdom to United Arab Emirates. The Real Estate InvestHER podcast was launched in February 2018 and as of Oct 2018 we have 20k+ downloads. Group has more than 460+ experienced and newly real estate investors located in different parts of the world who come together to offer and get support. A 45 second mid-episode endorsement from the host(s) pre-written and approved by sponsor and host. 2. A written endorsement spot on each episode’s post on website and as well as on social media posts. 2. A 45 second mid-episode endorsement from the host(s) pre-written and approved by sponsor and host. 3. A written endorsement spot on each episode’s post on website and as well as on social media posts.